I love the longer days during summer. We see people walking their dogs at 7:30 pm at night because the nights are still bright. My kids are still happily swinging at the playground. We just spend lots of time doing activities out there. Summer produce is also one of my favorites, colorful and abundant. The weather is, needless to say, hot and humid. I can’t help but to think of something refreshing like cucumber during the hot days and the vibrant multi-color peppers just scream summer. 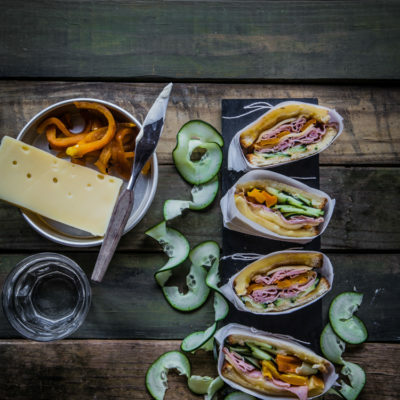 This ham and Gruyere sandwich is inspired by the beautiful summer. It has become our family’s favorite this summer. 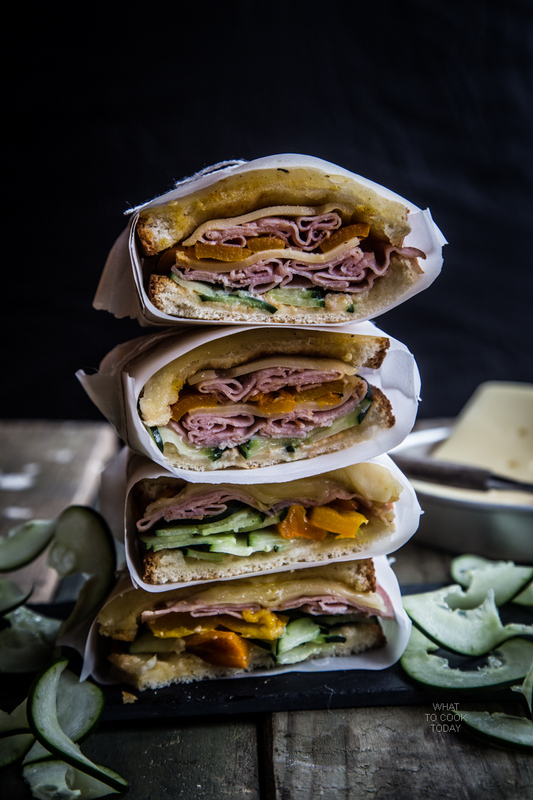 With only 6 ingredients, you can make this simple but impressive sandwich. 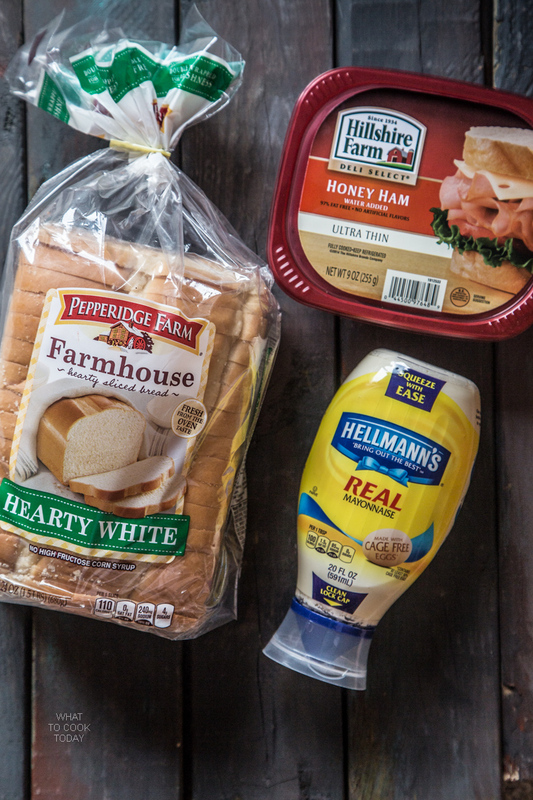 Shown here are Pepperidge Farm Farmhouse ™ Hearty White bread, Hillshire Farm® Thin Sliced Honey Ham, and Hellmann’s® Real Mayonnaise I used to make this Ham and Gruyere sandwich. We all know that the bread is important in making great sandwich. I love Pepperidge Farm® bread because of their high quality and fresh-tasting bread. It’s great that they double wrap their loaves of bread for freshness. This was the sandwich when it first came out of the oven. Amazing!! The melted Gruyere. 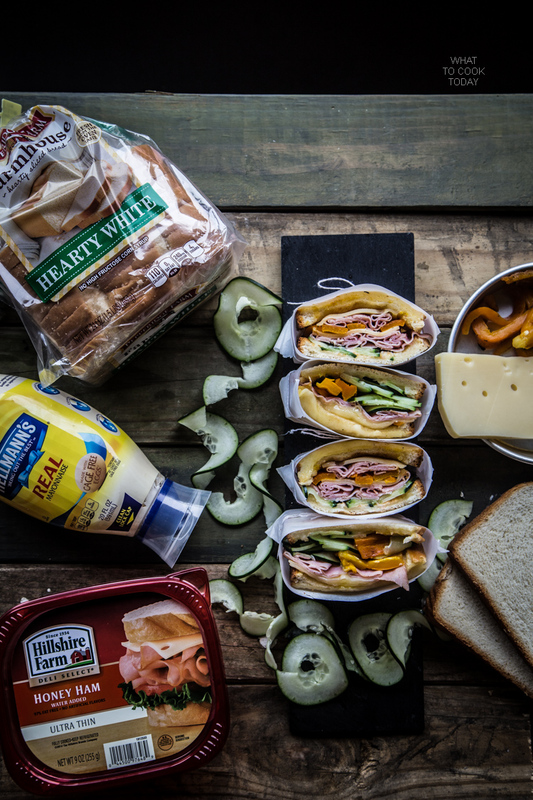 The Hillshire Farm® Thin Sliced Honey Ham is slow roasted for hours and just perfect for this sandwich with that hint of sweetness. The Hellmann’s® Real Mayonnaise makes the bread crispier and also can be combined with other flavors like sriracha chili sauce for that extra heat if you like. 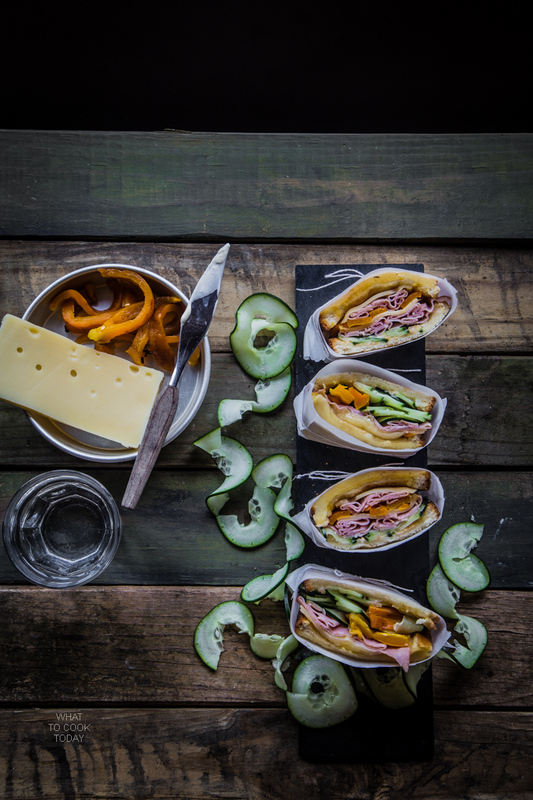 The amazing flavor of roasted bell peppers and crunchy, refreshing slices of cucumbers are so perfect when you take that first bite into the sandwich! The flavor combinations are something that my family couldn’t stop bragging about! Preheat oven at 375 F. Meanwhile, get 2 slices of bread and spread outside and inside of the bread with mayonnaise. This will make perfect crisp bread when toasted or grilled. Flip back to the other side, and place 2 slices of Hillshire Farm® Thin Sliced Honey Ham then followed by some freshly grated Gruyere cheese. Top with 3-4 cucumber slices. 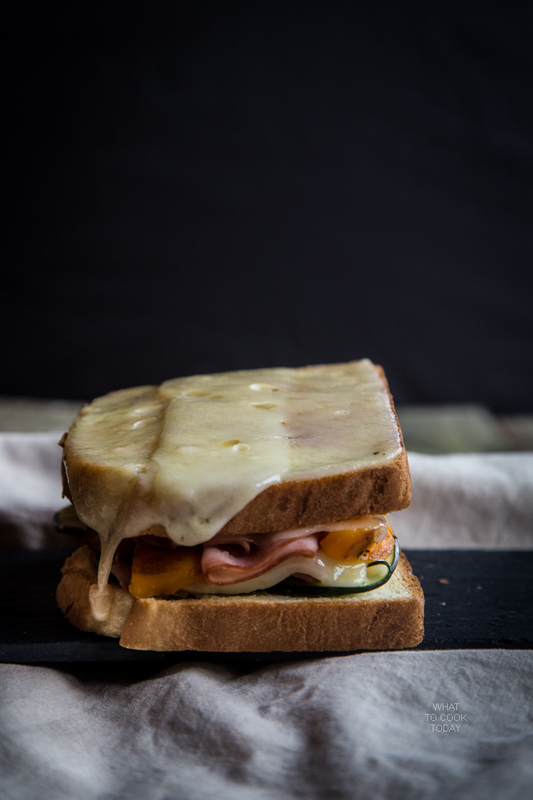 Place another 2-3 slices of Hillshire Farm® Thin Sliced Honey Ham, then about 3-4 slices of roasted peppers. Top with another slice of bread and grate more Gruyere cheese over the bread to completely cover the bread. Repeat with the rest of the sandwiches. Place the sandwiches on a parchment-lined baking sheet and let them bake in the oven until the cheese melts, about 10 minutes (depending on your oven). Remove from the oven and serve immediately. It’s pretty amazing what you can make with just 6 ingredients, simple, and no-fuss recipe! Light tasting but so robust in flavor. What’s not to love about that? 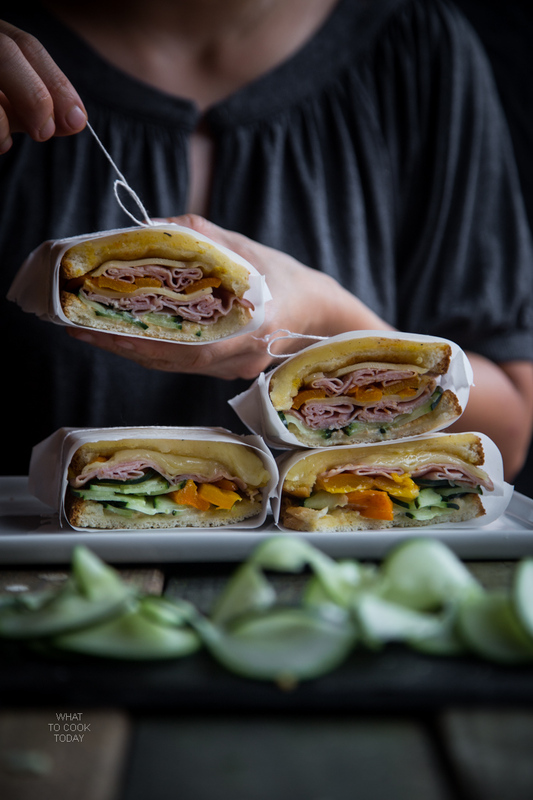 Don’t you just love looking at those layers sandwiched in between the delicious breads? 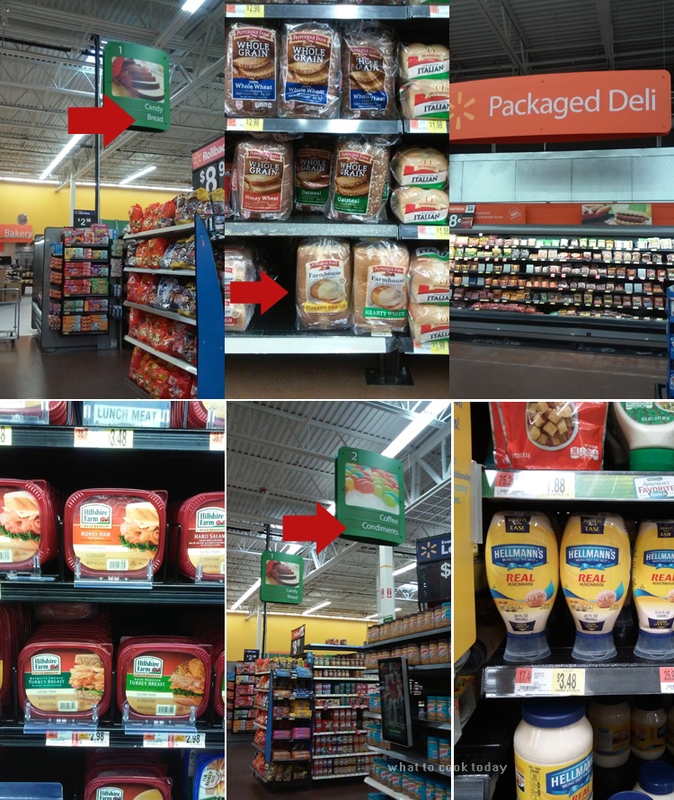 The next time you are at Walmart, definitely check out Pepperidge Farm® bread at the Bread aisle, Hillshire Farm® Thin Sliced Honey Ham at the Packaged Deli, and Hellmann’s® Real Mayonnaise at the Condiment aisle. I seriously couldn’t wait to dig in! Summer may be over soon, but this…this will definitely remind you of the memorable summer you have had. 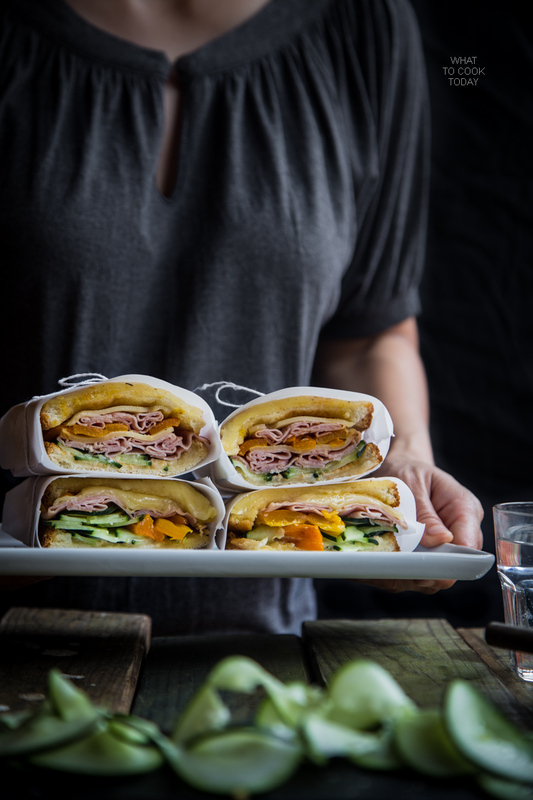 For more Sandwich With The Best inspiration, click here. 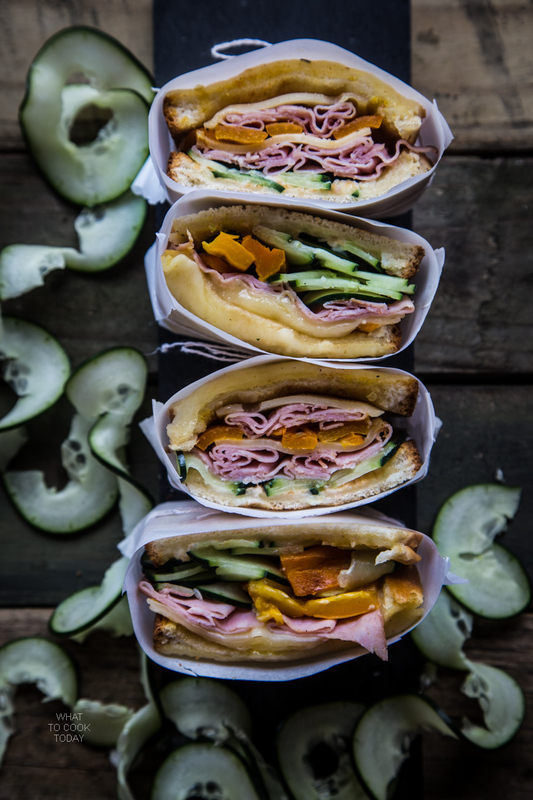 These sandwiches look delicious, love how you packaged them up. Beautiful pics as always, love your blog.